Headwaters used its 10th anniversary Muster to present the inaugural Errol Holgate Memorial award. 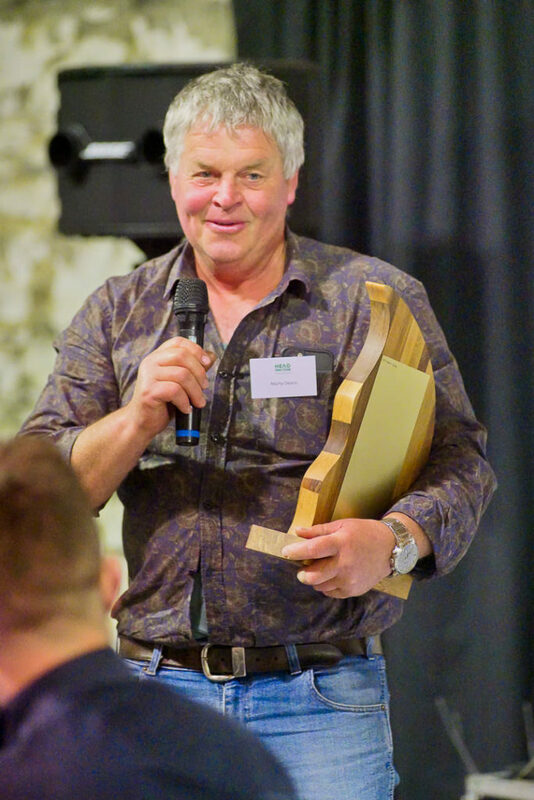 It was awarded to Barewood Station’s manager Marty Deans for his leading, pioneering role in the Omega Lamb Project. Fittingly the award was presented by the founder of Headwaters, Andy Ramsden, who worked closely with Errol Holgate in the early development of Headwaters in 2005 and 2006. “The new territory we’re in requires extraordinary commitment from people at every stage of our ‘beginning to end’ supply model,” Andy said at the presentation at the annual Headwaters Muster on 1 June. The award citation reads: ‘Excellence is doing the ordinary things extraordinarily well’. The 30,000 su Barewood between Outram and Middlemarch is run as intensively as a farm a fraction of its size with a strong emphasis on trialing and testing new techniques. “Barewood, under Marty Deans, has tested and proved, on scale, critical key commercial components of Headwaters’ and the Omega Lamb Project’s breeding, forage and supply management systems. This has required strength of character, energy and selflessness for the greater good and betterment of all,” Andy said. Headwaters Geneticist Aimee Charteris has worked more closely with Marty Deans and his team at Barewood than most. “Marty is like a food producing farmer rock-star; he is holistic in mindset; collective in approach and seriously courageous in attitude. Adapting systems to ensure the benefit of the wider Omega Lamb Project is second nature to his team and apparent in the results,” Aimee said. In 2016/17 Barewood produced 26,000 lambs at an average weaning weight of 30.2 kg (90 day adjusted) which equates to 297 grams of additional live-weight per day pre-weaning. Around half of these 26,000 lambs were finished under the Te Mana lamb finishing system for food service, making Barewood the largest supplier to the programme. 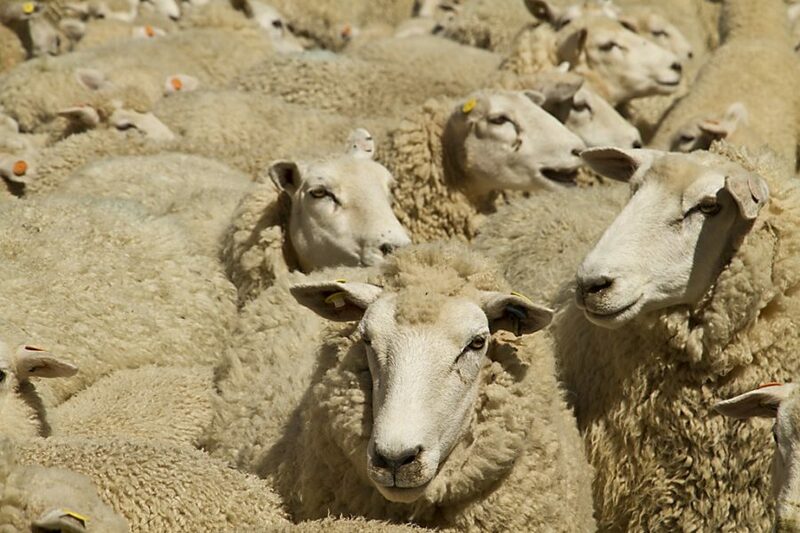 Barewood is part of Lone Star Farms and is integrated closely with fellow Lone Star Farm property Caberfeidh station in breeding and finishing Omega Lambs on chicory, to produce Te Mana Lamb. Above: Marty Deans addresses the Muster after receiving the inaugural Errol Holgate Memorial Award.